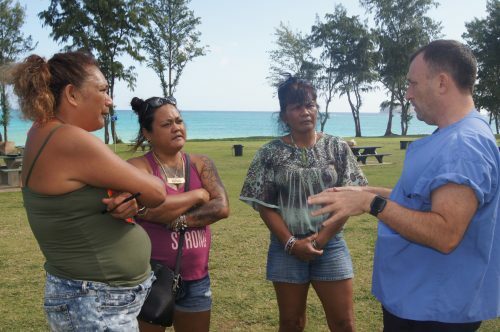 Lieutenant Governor Josh Green, joined by city council member Ikaika Anderson spent a morning in Waimanalo visiting with the homeless community living around Waimanalo Beach Park, and touring two parcels of land that could potentially be used as future sites for hygiene centers, service stations, or permanent housing locations for Waimanalo’s homeless population. 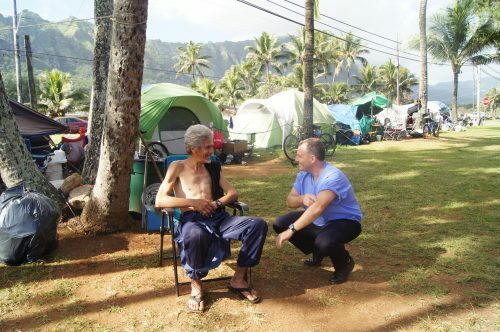 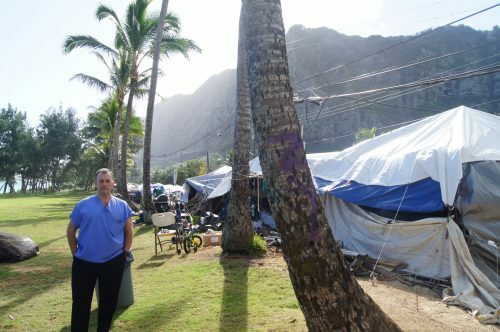 The goal of the excursion was to get a feel from the Windward side’s homeless community about what kind of assistance and services are most needed and how the state and city can work together to best provide them in a way that is beneficial and accessible. 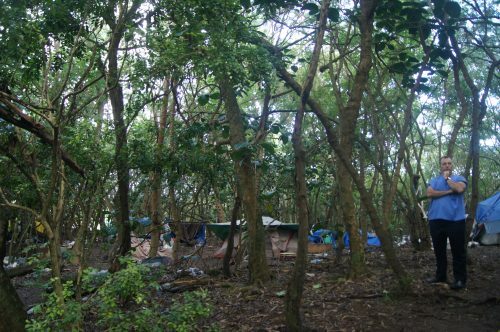 34 tents line Kananianaole Highway along Waimanalo Beach Park where between 40-50 people reside.